With the recent launch of FiXT Neon, the synthwave/synthpop division of the independent FiXT imprint, the label is in the throes of signing new artists to its roster, with one of the latest being The Bad Dreamers. Blending a melodic sensibility sure to appeal to aficionados of ’80s inspired synthwave with a harder ’90s industrial edge, the Los Angeles outfit’s debut album Songs About People Including Myself was released by FiXT Neon on January 11, with “Part Time God” as the record’s latest single. 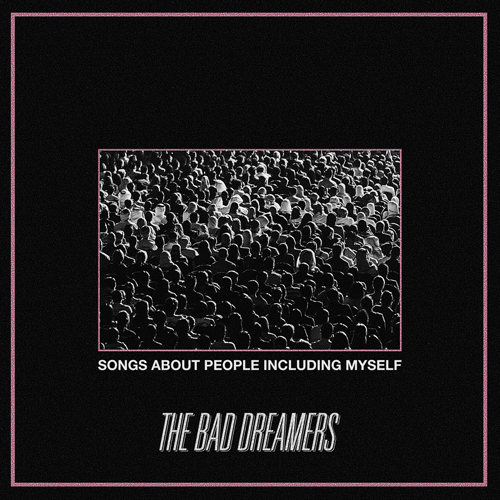 Headed by David Schuler, The Bad Dreamers came to prominence in 2018 as NewRetroWave had listed the act as the top newcomer of the year, with the second single release, “Who You Run To” making the year’s #1 spot. Additionally, Songs About People Including Myself was named the #1 popwave album of 2018 by Iron Skullet, with the FiXT Neon release granting The Bad Dreamers a much wider distribution. The album is available to purchase now digitally via Bandcamp and the FiXT Webstore, with an instrumental version also available.